NPARC's Secret Society of the Rettysnitch periodically recognizes a club member who has brought credit to the club or has furthered its ideals by granting him or her the coveted Wouff Hong Award. No one other than the unknown members of the Secret Society know the actual reasons why a club member is so honored. 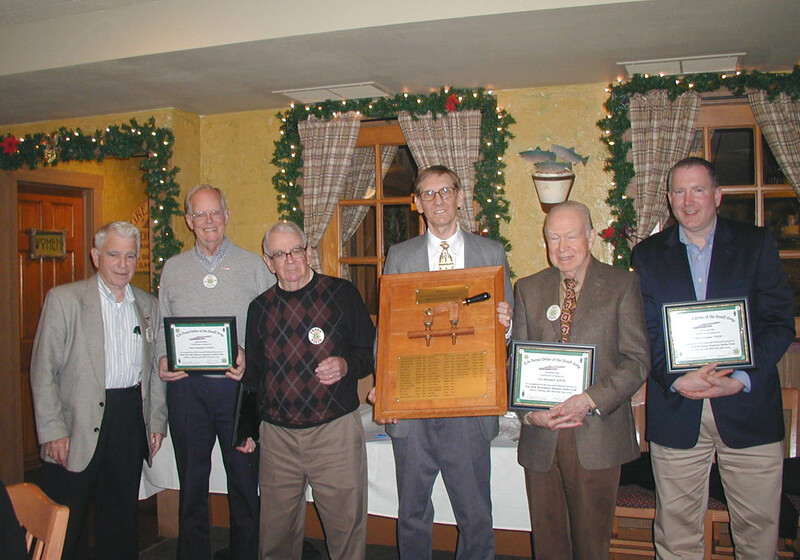 If an award is to be made in any year, it is often announced at the club's Holiday luncheon. The award recipient has the honor, privilege and responsibility of posting this prestigious award in a prominent location in his or her home for the ensuing year. Listed below are past recipients of this coveted award. 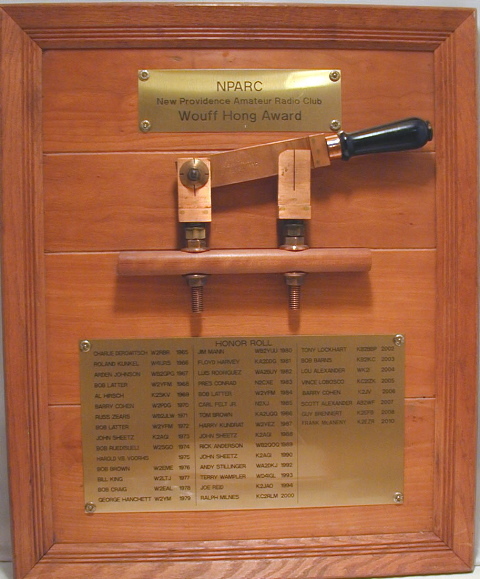 The NPARC Wouff Hong plaque was created by Al Hirsch K2SKV from a throw switch found at a hamfest and left-over wood from a kitchen remodeling job. The original plaque used "DYMO" labels to record the name and year of each winner. In 2001, the labels were retired in favor of brass plates.